Last weekend I had the pleasure of talking to the Italian paralympian Martina Caironi. For those of you who might not know her, she won a Gold Medal in London in the 100 mtr T42 category in a new World Record time, Gold in the World Championships in the long jump and again in the 100 mtrs, and just last month took the World Record over 200 mtrs. This is her in the photo above, she is the fastest para-athletic woman on Earth. I have long had an interest in prosthetics and the borderline between human and machine. Readers might remember the review of the film Fixed that I wrote last year, and some may even remember my first post here about elective amputation in favour of prosthetics. So as you might imagine I had a lot to ask. Regarding where the human body ends and the prosthetic begins, Martina told me that the question is very much down to your own point of view. She said that she knows where her prosthesis is without looking, so it seems very much an extension of her body. She can stand on one leg. You would not even realize she was wearing it if you saw her walk across the street. I wonder whether it actually becomes part of your body though, but I am not sure that this is the case. She explained that you have to learn how to use it, how much you can push without causing injury, and a great deal is down to the quality of the prosthesis. It definitely seems to be an instrument for her. We also talked about parity between para and non para athletes. She said that in the UK there is parity, and the races have prizes. This is not however the case in all countries, and she gave me some examples where the race organizers “don’t even pay your hotel bill”. This was a debate that really took off in the UK after the London Olympics and Paraolympics. It was noted that gold medal winners in the Olympics go on to make a lot of money through sponsorship, but that paralympians do not always have the same opportunities. If you search the Internet you find many examples of countries that offer the same prizes to both sets of athletes, but you also find articles that explain that paralympians are paid less because the governing bodies find it difficult to raise the same amount of sponsorship. I am pleased to say that Martina makes a living from her athletics today, and rightly so given her dedication. If you would like to watch Martina winning her gold medal here it is. I should tell you that I have known Martina for some years, she was one of my students when I was an English teacher in Italy. She lost the bottom half of one leg in a scooter accident, and for a while was on crutches as the wound healed and the prosthetic was prepared. The fitting process took some time, and was uncomfortable when it was not quite right, so we are dealing with a precise instrument that has to be well fitted. While running she uses a blade, if you are interested in learning how they work take a look here. Most of Martina’s interviews that we find on the web are in Italian, which doesn’t say much for her charlatan English teacher, but one of the things that she maintains is that sport gives people who have lost some mobility the chance to push their limits. Instead of accepting limitations, it pushes the athlete into going ever further, acting as a positive force for well-being. It has given her the possibility of experiencing things that many of us might dream of, with the fortune of having access to such technology through a fine center of excellence here in Italy. Readers might also want to take a look at the Robohand website. 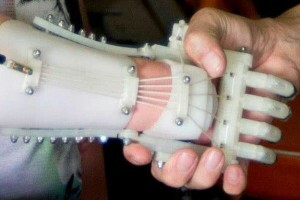 They use 3D printers to make prosthetics, and recently unveiled a project that aims to commercialize a prosthetic leg. I think this type of technology could bring vast improvements to the prosthetics world. I also urge you to read this article by Erin Strait that is a free download. 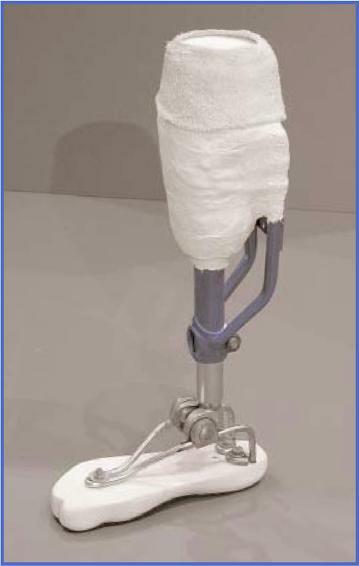 It describes the development of artificial legs in developing countries, the materials used and the costs. Some solutions are ingenious and not costly. See below for an artificial leg made from used bike parts, they cost less than a dollar each to make. 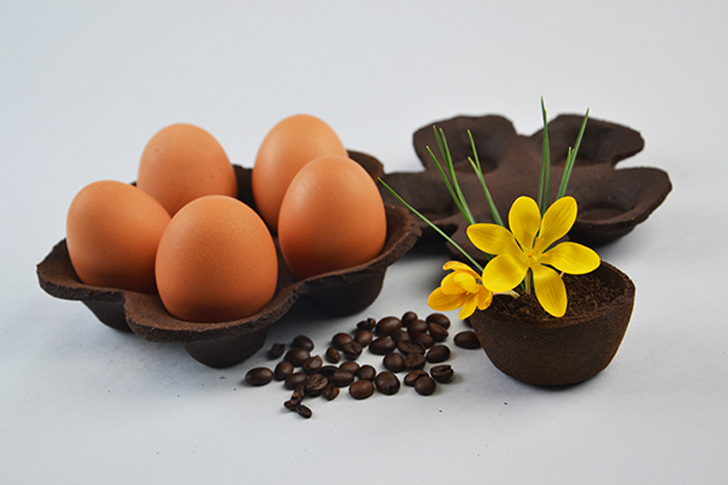 3D printing technology undoubtedly presents opportunities for a completely new type of production that will revolutionize the workplace, as the many posts on this blog demonstrate. But as with all new forms of technology its development also raises many questions. A recent report appears to find evidence that the use of 3D printers creates a bi product of nano particles that may be harmful to humans. A research team measured ultra fine particle emissions (UFP) from the types of 3D printer typically in domestic or office use. Their findings are published in this rather technical report, and mathematics is certainly not my forte’, but it can be easily summarized: the results show that mean concentration of UFP’s is almost three times higher during 3D printer operation, meaning that these types of printers must be classed as UFP “high emitters”. Now we need to see the results in context however, the levels reported are similar to those produced when we cook on a barbeque, but I personally use my barbeque in the garden, not in a small sealed room in the office. The printers in question are often grouped together or found in air conditioned spaces with little ventilation, they are not sold with ventilation and there is no venting legislation, so the levels of UFP tends to increase over time in the spaces where they are used. Particles of this type have been found to be damaging to mammals because they can easily pass into the respiratory system and cause inflammation. Some are so small that they can pass directly into the blood stream and into the organism itself. 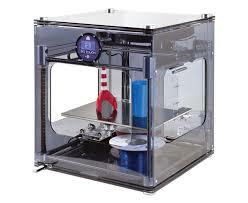 The authors conclude that “caution should be used when operating some commercially available 3D printers in unvented or inadequately filtered indoor environments. Additionally, more controlled experiments should be conducted to more fundamentally evaluate aerosol emissions from a wider range of desktop 3D printers and feedstocks”. A little common sense and some awareness raising and a health risk can be avoided. Industrial users have a culture of health and safety related to emissions, something that office culture might lack, but it could certainly be learned and implemented. Anyway, the sun is out, where are those frozen veggie burgers? Recently there has been a lot of talk about a third industrial revolution in the making. It is of course that involving 3D printing. Take a look at the other articles on the website for an overview. The thing about these machines is that they can produce individual tailor made objects at low cost, something that was not really possible in the days of mass production, when multiples were cheap but individual one off projects very expensive. It is a contentious technology though for several reason, the first being its versatility. A few months ago we had the first fully printed gun, the plans were put online for free before being removed but only after more than 100 000 people downloaded them.100 000 more unlicensed guns in the world possibly. Check out this article. Another reason is that these machines will completely change manufacturing. The old days of heavy machinery in production lines might be numbered, and this means that the power and financial strength that the organizations that have control of these systems currently posess is about to be lost. So where should somewhere like MIT here in Cambridge MA stand? They have to support new technology, it is their job, but in doing so they might be undermining their own foundations, rooted as they are in large scale US industry. As well as the printable gun though there are obviously a million good uses for this technology. Two weeks ago I mentioned an engineering company that is testing an aeroplane engine that uses printed parts, and in case of dire need you can now print a prosthetic hand for about $150 through an open source website. Read the article here. Last week the Bassetti Foundation sponsored a series of events in San Francisco based around these problems. One of the main speakers was Chris Anderson, ex editor of Wired magazine and author of the book Makers, he is a leader in thinking on these matters. There is plenty of information on the website for interested readers, including videos of the symposium about the political and social implications of a move towards 3D printed manufacture. 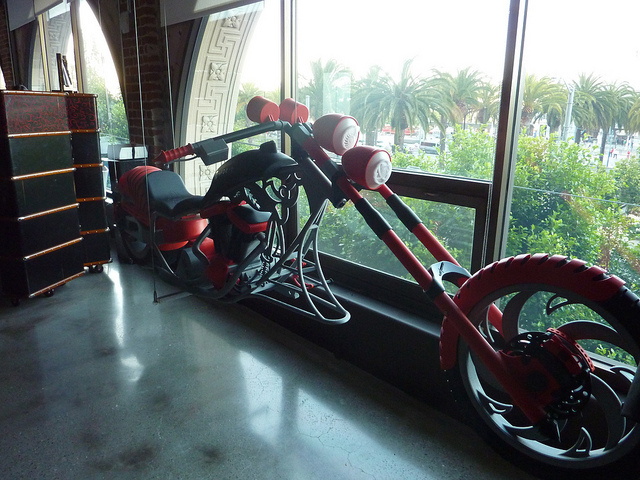 Check out the photos too, here is a printed motorbike. They can produce far more than you imagine.